Nighttime used to be mine. Then it was the struggle to turn over, your feet under my ribs. Then it was a contraction and another and another and I think this is it. Now it is being pulled, pulled from the depth of slumber by your tears. Now it is up every two hours, the sweet smell of milk. Now it is 12:45am and 3:20am and 5:30am, though some might call that morning. Now it is waking in a panic, because you haven’t woken me. Now it is your body against mine, radiating heat like a flame, when did I give you the last dose of medicine? Now it is a thump, a body on the floor not used to a bed. Now it is your breath on my face, willing my eyes open with its rhythm. Now it is whispers in the dark, a glass of water, please, just one. Now it is changing the sheets, soaked with urine, and promises that it won’t happen again. Now it is your own reading light, which you forget to turn off. Now it is I’m worried, Mom, I can’t sleep. Now it is footfalls on the stairs, I’m not tired, Mom, and maybe you aren’t. Soon it will be your bedtime later than mine. Soon it will be the party I’ll pick you up from at midnight. Soon it will be a creak of the front door, the clock standing sentry, not me. Always it gives way to light, with you one day older. I like this and how you change up your writing style. thanks, susie, the style was definitely a departure for me. came to me in the middle of the night, perhaps not surprisingly. kisses to hubbard. thanks, melz, really appreciate that! and alex will never wet the bed ;). 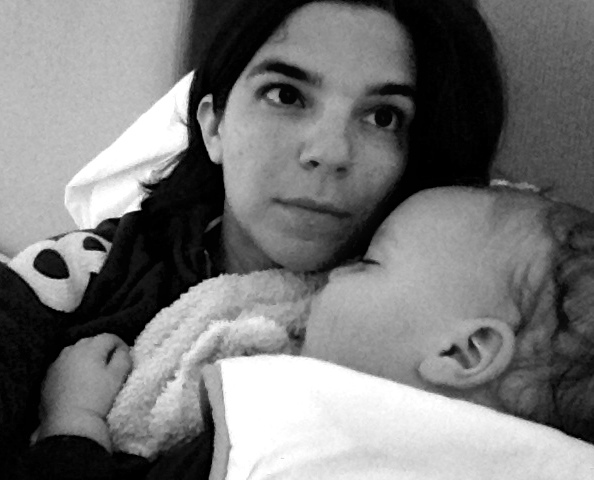 You have beautifully and poetically expressed the nighttime experience of parenthood. When I am awakened these days from a deep sleep by the needs of a grandchild who has a fever, or has fallen out of bed, or misses Mommy, my body remembers the bone-tired feeling that one puts aside to answer to the call of a much loved child. hauling yourself out of bed for a child must be muscle memory, right? i LOVE your perspective, nancy, please keep the comments coming! Beautiful and poignant. I read this as my two boys call to me from their beds and as I nurse my newborn daughter.